Michael joined the firm in 1996 and manages the Insurance Defense Division. In addition to providing in-depth insurance coverage opinions, Michael’s primary areas of focus include tort and commercial litigation defense. Michael has successfully advised clients in a broad range of matters, including attorney malpractice, personal injury torts, insurance, business formation, securities and cyber liability claims. Michael is a member of the New York State Bar Association and of several committees. 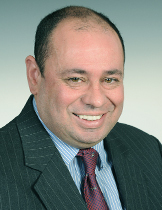 Michael is a member of the Puerto Rican Bar Association and the Defense Research Institute. He also provides legal advice to various civic associations and youth ice hockey organizations on Long Island, New York.